Dr. Ahmed Abdelgawad received his M.S. and Ph.D. degree in Computer Engineering from University of Louisiana at Lafayette in 2007 and 2011 and subsequently joined IBM as a Design Aids & Automation Engineering Professional at Semiconductor Research and Development Center. In Fall 2012 he joined Central Michigan University as a Computer Engineering Assistant Professor. 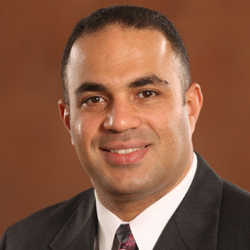 In Fall 2017, Dr. Abdelgawad was early promoted as a Computer Engineering Associate Professor. He is a senior member of IEEE. His area of expertise is distributed computing for Wireless Sensor Network (WSN), Internet of Things (IoT), Structural Health Monitoring (SHM), data fusion techniques for WSN, low power embedded system, video processing, digital signal processing, Robotics, RFID, Localization, VLSI, and FPGA design. He has published two books and more than 72 articles in related journals and conferences. Dr. Abdelgawad served as a reviewer for several conferences and journals, including IEEE WF-IoT, IEEE ISCAS, IEEE SAS, IEEE IoT Journal, IEEE Communications Magazine, Springer, Elsevier, IEEE Transactions on VLSI, and IEEE Transactions on I&M. He severed in the technical committees of IEEE ISCAS 2007, IEEE ISCAS 2008, and IEEE ICIP 2009 conferences. He served in the administration committee of IEEE SiPS 2011. He also served in the organizing committee of ICECS2013 and 2015. Dr. Abdelgawad was the publicity chair in North America of the IEEE WF-IoT 2016/18/19 conferences. He was the finance chair of the IEEE ICASSP 2017. He is the TPC Co-Chair of I3C'17, the TPC Co-Chair of GIoTS 2017, and the technical program chair of IEEE MWSCAS 2018. He was the keynote speaker for many international conferences and conducted many webinars. He is currently the IEEE Northeast Michigan section chair and IEEE SPS Internet of Things (IoT) SIG Member. In addition, Dr. Abdelgawad served as a PI and Co-PI for several funded grants from NSF. Melda Akin coded the first line when she was eleven years old. Graduated from Computer Engineering, and MSc in Intelligent Engineering Systems with a high honorary degree, with the full scholarship. Her business mission is collaborating with the organizations to help them in taking innovation to the next level by transforming and rediscovering their core businesses with the help of Artificial Intelligence (AI) and Machine Learning (ML). She helps C-level and senior management executives to create value by launching innovative programs. She served as a lecturer in Computer Engineering and Software Engineering Departments. Worked as a software developer, researcher, teaching assistant, system analyst, project manager and consultant. Promoted as a youngest Director and Management Team Member at International Companies. 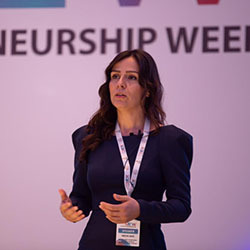 She set up her own company "Numoit" to serve digital transformation and management consultancy to help companies grow revenue through digital solutions. Separated Digital Transformation and Artificial Intelligence service as a "Dimension14” in 2018. She has published “SAMS: A Decision Scale For Assessing Medium and Short Scaled/ Term Software Projects” thesis and article, “Digital Transformation by Artificial Intelligence” article on Samena Trends International, International Samena Council, November 2018. She was the speaker for several events and invited to Manama Entrepreneurship Week - 2018 in Bahrain as a speaker by the Governor of Capital Governorate, H.E. SH. Hisham Bin Abdulrahman Al Khalifa. She leads Woman in Science chapters, provides mentoring for women in technology and her contributions has been recognised by leading universities and international foundations; Google Women Techmakers, Community Volunteers Foundation, Techstars - Women Techmakers Dubai, United Nations. She says life is becoming more complex and AI helps us find optimal solutions that allow human beings to live better lives. Elie has been working in Blockchain since 2015, he has led the architecture of the first decentralized cash management system at BNP Paribas then joined ViewFin, a shanghai based start-up to build a cryptocurrency exchange. He has also acted as product & operation manager for the Hyper Exchange protocol, a decentralised exchange of assets across different blockchains. Since 2017 has been providing educational content through his YouTube channel “Crypto Middle East” and website “www.cryptomena.net” to share his knowledge and passion for this field in the MENA region. 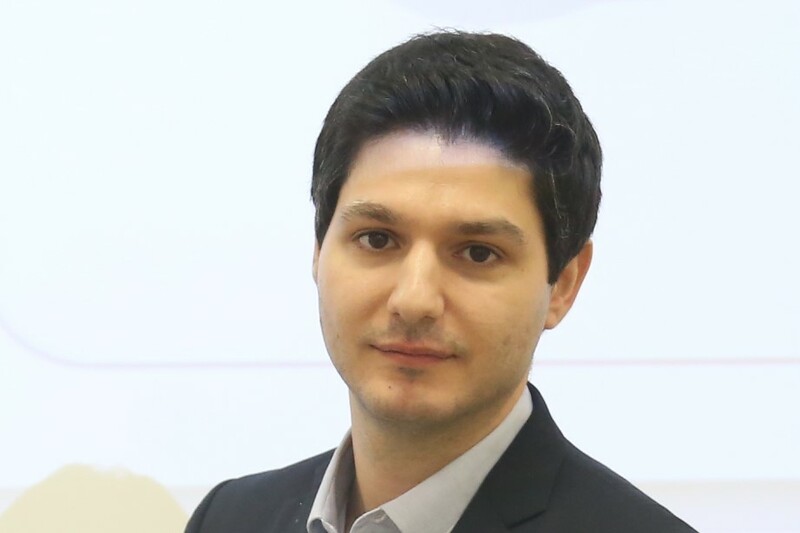 Currently he is the co-founder of VOC, a UK based start-up that creates compliant and regulated digital securities on blockchain Elie holds an MSc of engineering in computer science.